Back on planet Ahch-To, Luke is getting more comfortable with opening himself back up to using the force. He uses it to connect with Leia and it is a touching scene where, despite being incapacitated, she whispers, “Luke.” We don’t get a lot of time to see these two interacting as siblings once they find out about their common ancestry at the end of Return of the Jedi. It’s really nice to see them on screen “together” in this movie and see the love that they share for one another. 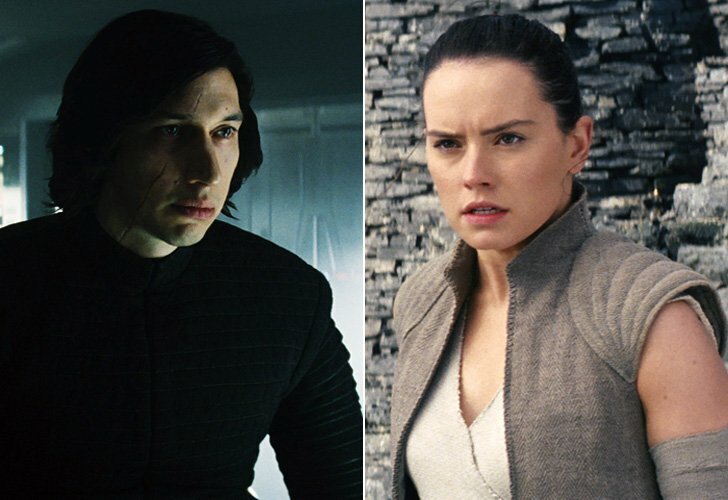 While he is connecting with Leia we see Rey and Kylo being mind-linked again, this time as Kylo is shirtless. She is immediately distracted and asks him to cover up but he ignores her and they start bickering. She asks him why he hated his father and doesn’t really receive a satisfactory answer. He then asks her if Luke told her what happened the night he destroyed the Jedi temple. We then see the same scene again from his point of view, Luke clutching his lightsaber with a mad look in his eyes about to bring it down upon Ben Solo before he is quickly able to block the attack and escape. Rey then leaves and goes to the Sarlaac-esque pit by the ocean where she inspects the opening before being sucked in. She emerges in some sort of underground cave where there’s a freaky mirror sequence with infinite Reys in each direction. It’s a strange, interestingly filmed scene which reminds me of something that would have been in The Star Wars Holiday Special had The Star Wars Holiday Special been good. It has that same sort of quality as an aside. I kept expecting her to see Jefferson Starship playing a concert or seeing one of the Reys in the mirror morph into Diahann Carroll and sing a song. The mirror sequence is odd. It seems out of place in a Star Wars movie, though many will likely compare it to the cave sequence in The Empire Strikes Back. The odd things about it is that it’s narrated by Rey. Things aren’t really narrated in Star Wars. The flashbacks are the same way. This movie is dark and sinister and reminds me more of a scene that would be in The Lord of the Rings, not necessarily Star Wars. She then returns to Kylo, explaining her experience in the pit and it feels like an odd romance is starting to brew. As they reach out and try to touch hands Luke barges in and blows the roof off of Rey’s hut. Rey is angry and asks Luke if he tried to murder Ben Solo. They then engage in a brief fight with various weapons culminating in Rey nearly killing Luke with a lightsaber. Luke then tells his side of the story, this time in more detail. 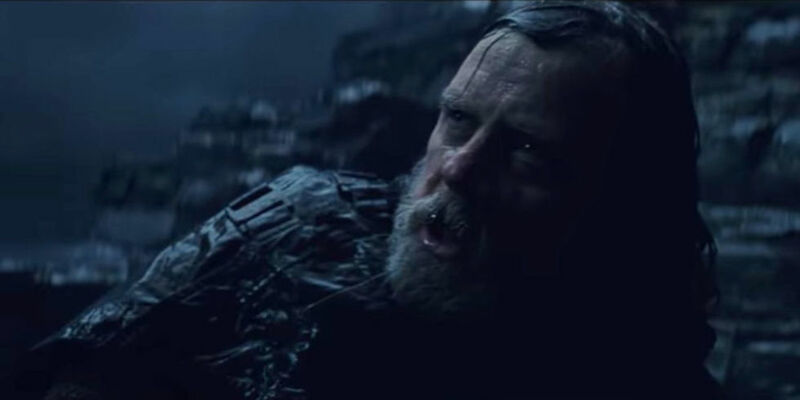 We get to see a third flashback to the event, this time with Luke not looking like a deranged lunatic but rather a sad old man who had failed his nephew and his student. The ending is the same with Kylo destroying the temple and leaving it in ruins. Rey then suggests that hey work together to turn Kylo to the light. Luke warns her that this is not going to go the way she thinks but she, in young Luke Skywalker fashion, ignores her master and heads out to save Kylo Ren nonetheless. This segment on Ahch-To ends with Luke marching toward the ancient tree, torch in hand, to burn it down and the ancient Jedi texts with it. He hesitates for a moment then, ultimately, is interrupted by Yoda’s Force ghost. “Master Yoda,” Luke says, perfectly encapsulating his annoyance and chagrin at being caught in the act. Seeing Yoda again caught me completely off guard. I was not expecting it in the least. Much like seeing Han, Leia, and Luke again part of me was really thrilled to see Yoda again, even if he was acting like a crazy person. Apparently thirty years of being dead starts turning Force Apparitions a little loopy. I guess I can’t really fault him for that. Yoda senses Luke’s hesitation at burning down the tree and the sacred Jedi texts. Luke is like a child, looking to get attention by threatening to burn down the tree. Was he doing this just to have Yoda swing by? If that was his tactic it worked. When Yoda senses Luke’s hesitation he summons some lightning and burns the tree down himself to Luke’s horror and befuddlement. Yoda then cackles like an insane lunatic and does a little jig. Luke and Yoda exchange some words, Yoda giving Luke some wisdom about learning from failure, and they just sort of watch the tree burn as Luke lies beside his former master. The music, the lighting, the scene all feel odd to me but at the same time liberating. Much like seeing Han Solo and Chewie together again in The Force Awakens, it’s hard not to enjoy seeing Yoda school Luke again on his bad attitude and poor decision making. 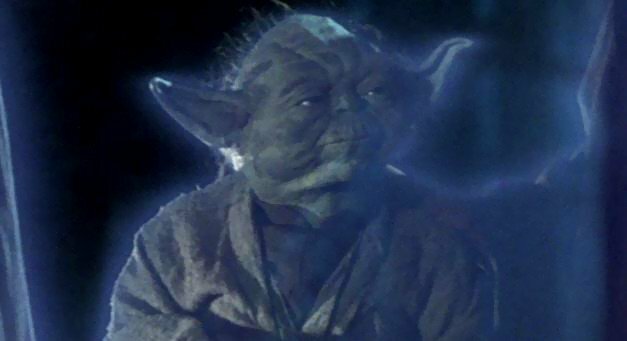 Also, Yoda doesn’t quite glow the way the ghosts did in Empire Strikes Back or Return of the Jedi making me wonder if there is some significance to that. You can sense the faintest blue glow around Yoda but it’s barely visible. In the Timothy Zahn book, Heir to the Empire, Obi-Wan appears to Luke as a Force apparition a final time to say goodbye. In that book it is stated that there’s some sort of time limit on how long you can come back as an apparition. This apparently is not canon. 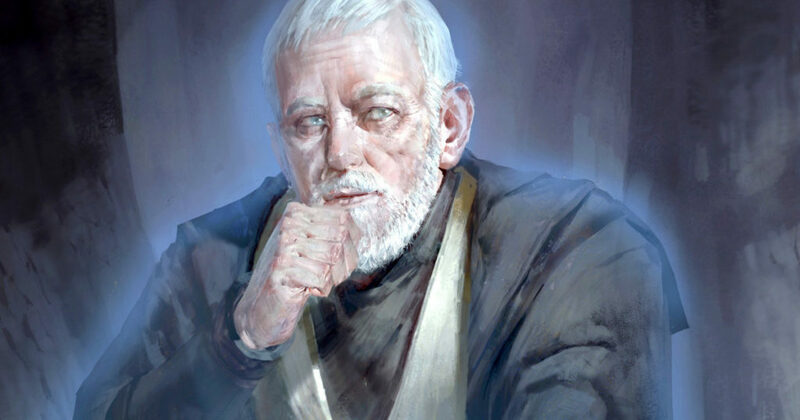 It also changes the stakes as Luke will no longer be able to gain wisdom and training from his deceased former master. It makes me wonder if we’ll be seeing more of Yoda and Luke in the next movie. I wouldn’t think Yoda would make an appearance but I could imagine seeing Luke one last time to coach Rey for one final confrontation. I know that this is the eighth part of this review but SPOILER Luke dies. Next time . . . BETRAYAL times TWO!